"They need to figure out when to give it a rest." 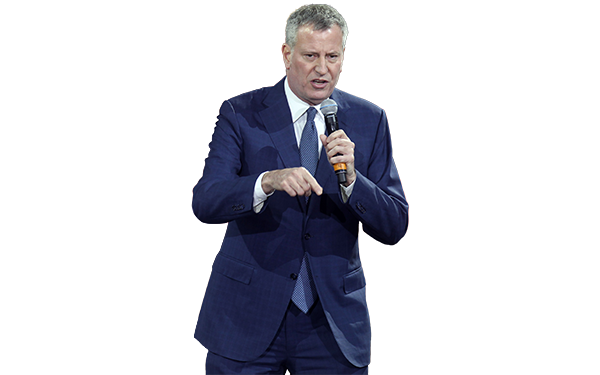 So declared Mayor de Blasio on Thursday in response to a question about Success Academy Charter Schools’ decision to close its pre-K program rather than run it under city oversight. As much as the mayor may wish that we rest, downshift our mission, be satisfied with less than our full effort in serving kids, it’s not going to happen. We’re charged with the education of 11,000 young residents of the city he presides over — 11,000 youngsters whose lives he presumably wishes will flourish for their own and the city’s sake. We’re showing we can make that happen. That’s why thousands of families remain on our waiting lists and demand exceeds seats almost immediately when we open a new school. So we won’t rest, Mr. Mayor. Not while hundreds of thousands of New York City students are forced to attend schools every day where only 10 or 20 percent of them will ever learn to read at grade level. Not when the primary value provided by the high schools these students land in is housing them during work hours — until the day they’re released into the world without the skills or knowledge they need to live productively. Even if these students attend college, 80 percent will need remediation — high school over again, essentially — and only 28 percent of remedial students go on to earn a college credential within 8.5 years, according to the Community College Research Center. And about 40 percent of two-year college students carry student debt; because these schools are less expensive the average debt is smaller — about $12,000 — but students have a higher default rate, over 20 percent, than those who owe more. Failure. Debt. Default. No skills. This is a trajectory of a life of despair. The scenario may make the mayor drowsy. It’s the reason we open schools. The city has endorsed the Success Academy vision by repeatedly allowing us to create additional schools. When it comes to the administration’s signature pre-K initiative, however, it appears that the mayor values bureaucratic conformity and control more than our ability to help students perform remarkably across grades and schools. Misplaced priorities in serving children shouldn’t come as a surprise given City Hall’s efforts to serve the city’s lowest K-12 performers. These so-called Renewal schools are in desperate need of transformation and in many cases have been for years. The small increments of improvement the city has required them to meet are painfully insufficient — sometimes one-third as much progress as other schools. By the same token, their “success” is more likely and sure to be hailed by the city’s education establishment. It’s not surprising that the city originally refused to provide these targets in a clear manner. If Renewal schools do make small advances, the mayor and Schools Chancellor Carmen Fariña should be asked if they would choose the schools for their own children or grandchildren, or for the children of others they care about. These are the schools many Success Academy students would have attended. Instead they are learning chess, making art, studying science every day, reading continually and posting the state’s highest testing scores among charter schools. So to be clear, Mr. Mayor, the answer is no. We won’t rest until the children in Renewal schools get the same chance.